It is accompanied by two of Stompas Curve cube storage units which offer a practical place to store books, toys and clothing. 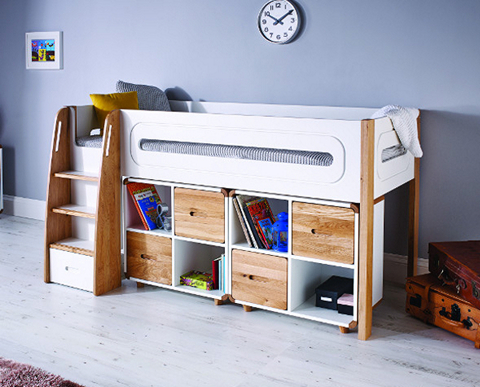 Made from MDF and oak, both the bed and storage cubes feature smooth curved lines, rounded edges and an attractive white and oak finish, making this durable set a safe an attractive addition to their room. Both storage cubes can easily be stored beneath the midsleeper, and pulled out when needed. Together they provide eight compartments; four with hinged, solid oak doors and inset handles, which enable you to quickly stash and hide away clutter. 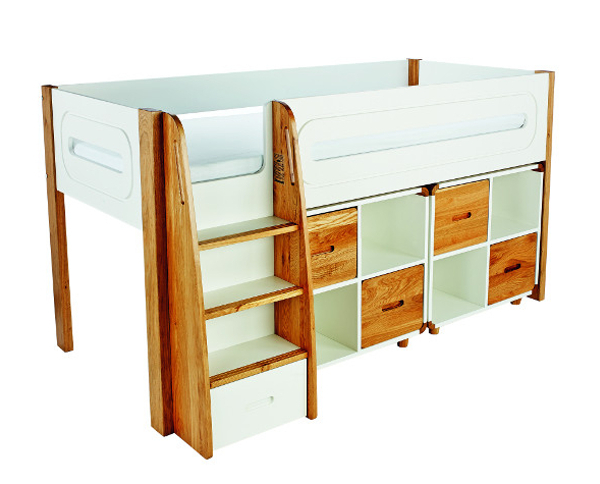 Includes Curve Midsleeper and two Cube Units with two pairs of solid oak doors.